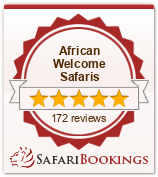 Situated in the MALARIA FREE Madikwe Game Reserve. These two exceptional, privately owned lodges, run by Jan and Jaci, together with an outstanding team, will exceed all your safari expectations boasting 75,000 hectares of “Top Ten” territory. Jaci’s provides the opportunity for the perfect family safari as well as introducing children to the wonders and enjoyment of the African bushveld. Children of all ages are welcome at Jaci’s and are especially catered for. Our family safaris have evolved from the specialized children’s safaris, as there was a demand from parents to see and enjoy their children’s wild experiences first hand rather than when they returned to the Lodge, so we had more parents on the specialized safaris than children!! The family safari vehicles are only available at Jaci’s Safari Lodge – now enabling us to put families with children ages 5 – 13 years old on game drives with their parents for the morning and evening game drives. We still have the fabulous “jungle drive” during the day for the very young children 4 yrs and under. “Jungle Drives” are provided for children 4yrs and younger and go out once a day, between the morning and evening game drives. Parents are welcome to join, but they must behave like children! On the “jungle drive” things of interest to children are pointed out, e.g. toothbrush plants, beetles, etc. The information on the drive is aimed at the age/s of the children on the drive. The “jungle drive” is included in the children’s special rate. Children 12 yrs and younger will enjoy dinner in the dining room ( as the evening meal is an adult affair :)) and enjoy a child oriented menu with things that they prefer, like spaghetti bolognaise, hamburgers, hot dogs, chips and lots of vegetables(to keep Mom happy) etcetera. Children 12 yrs and under sharing with their parents will not be allowed to eat dinner in the boma – the earlier children’s dinner is provided instead. On arrival the chef will ask the children specifically what they like and dislike and use this as a guideline when preparing the children’s menu. Child minding is provided free of charge while the parents are on game drive and during dinner. Children love Jaci’s Safari Lodge – they especially love the idea of “camping” in a tent! One of the things they comment most about are the bugs, they love the variety and are enthralled by these creepy crawlies. Children love the space at Jaci’s Safari Lodge as well as feeling part of the Jaci’s staff family – this sets the pace for how their experience on Safari turns out for them. Jaci’s is fenced off from the Reserve – but it is still the responsibility of the parents to be mindful of potential dangers as Jaci’s is in a wildlife area. In the early morning Lalibela’s child minders come on duty so that parents can leave for their morning game drive. The children are given a chance to wake up, get dressed and be ready for the day. Breakfast is served and then it is time for the activities of the morning, starting with a short game drive with their own game ranger and in their own special game viewing vehicle, taking care to avoid any close encounters with dangerous game. Parents are welcome to stay behind and accompany their children on the kiddies’ game drive. The middle of the day is time for the family to spend together. Before the adults go out on their afternoon game drive, high tea is served for both adults and children. The children then head out on their own afternoon game drive and return to the lodge for an early dinner before getting creative with some arts and crafts activities. Young children are looked after by child minders during the adults’ dinner sitting. Children of all ages are welcome at Mark’s Camp which has 4 twin rooms on one side of the lodge and 4 family rooms on the other side of the lodge.